The parsonage had quite a bit of wallpaper. So we decided to do some squirting, peeling and scraping during the re-modelling process. Do you know how long it takes to take wallpaper down? Well I do now and it is not a fun process. It is extremely time consuming. While there was about a billion other things I should have been doing. I was squatting in the dining room trying to get wallpaper down. 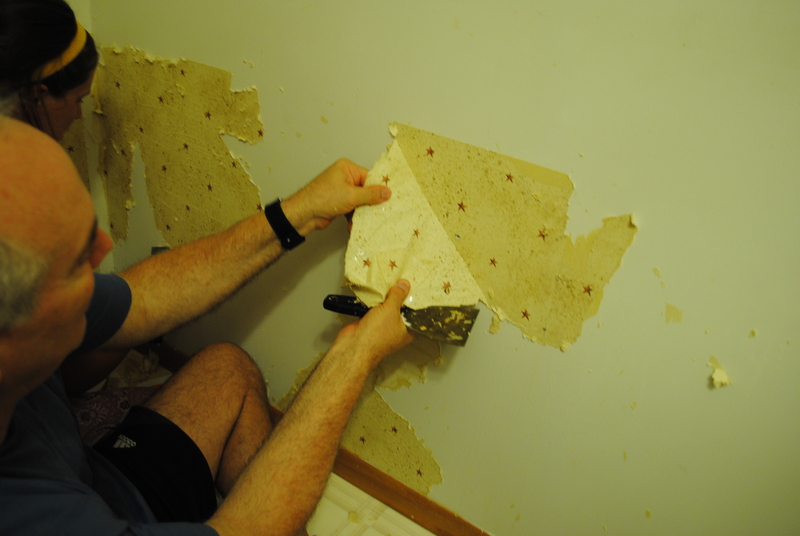 The actual process of removing wallpaper is very straightforward. Spray the wall with hot water. Or better yet use a spray bottle full of fabric softener AND hot water. Okay I am boring myself already…just google it. 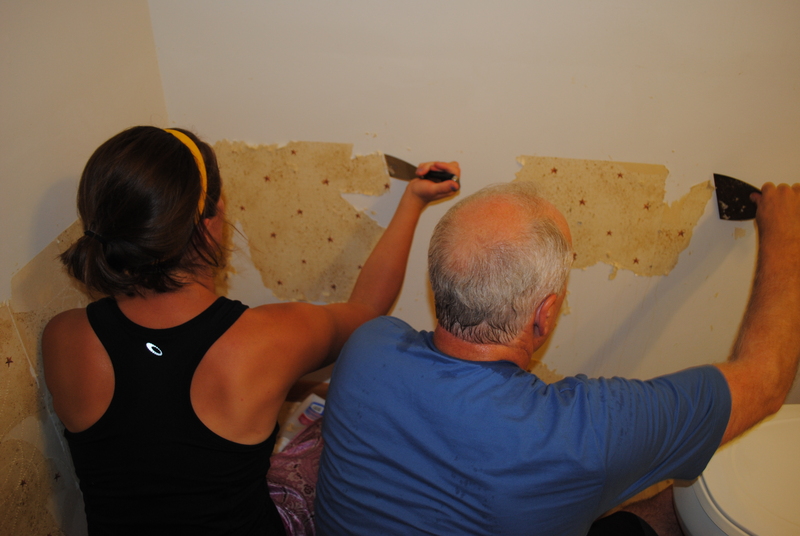 It takes more muscle power than brain power to deal with stripping wallpaper. This being our first home decorating experience, we have learned quite a bit about our likes and dislikes (we even made several paint choices we weren’t thrilled about, and ended up repainting soon after.). 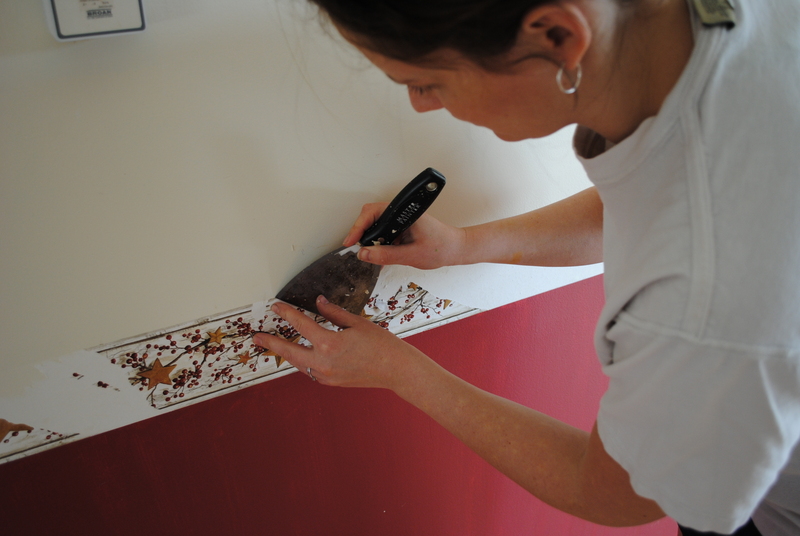 But one of the biggest lessons we’ve learned is that wallpaper is probably never worth the work – wether it’s the application or the removal. Chances are whatever style you are going for won’t be in style in 5-10 years, and when you have to take it down you will be very angry at your past life decision to put up wallpaper. 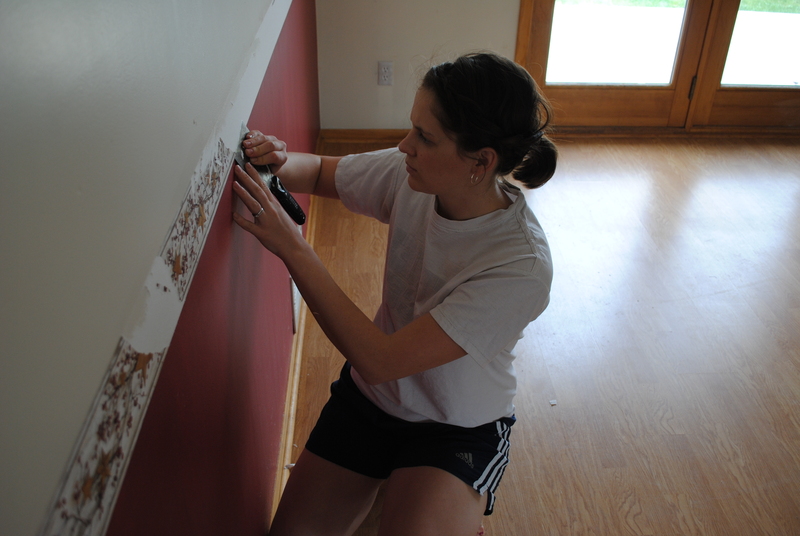 A repaint will take about a half hour to do, but a wallpaper stripping job will probably take you a couple days. Just don’t do it. Take it from me, someone who has this job fresh in her mind– it is NOT fun and NOT something I ever want to do again.